Do you have a phone? If you do (and who doesn’t these days) it’s a good bet that you receive a robocall every now and then. Even worse, if you’re one of the unlucky folks whose number has found its way onto an active caller list you probably receive several of these irritating calls per day! Robocalls are incredibly frustrating because there’s really very little you can do to prevent them from coming in, but you can manage them and prevent them from causing you a bunch of grief. Many of these automated calls aren’t generated from a list of phone numbers. They are actually the result of a computer somewhere dialing phone numbers at random hoping some “sucker” will answer the call and fall for a scam. A large percentage of these calls are difficult to identify as robocalls simply from the Caller ID info because the scammer’s computers are programmed to either spoof your own phone number to confuse you or spoof one of your local businesses to make the call appear to be legitimate. The robocall problem is huge right now, and it’s only expected to get worse, at least in the short term. 1 – If you don’t recognize the phone number, don’t answer the call. If the call is legitimate and the caller really needs to speak to you they’ll leave a message. If they don’t leave a message you can safely assume the call was fraudulent. 2 – If you happen to mistakenly answer a robocall, hang up the instant you realize the call is fraudulent. Don’t say anything or answer any questions. And don’t respond if the “voice” on the other end of the line asks “Can you hear me?” or asks any kind of similar question! Answering in any way simply confirms that the robocall machine has reached an actual human instead of another machine. And whatever you do, if you’re prompted to press a button to have your name taken off a list, don’t do it! Pressing that button won’t remove your name from a list (there often won’t even be a list because they called your number at random). Instead, if you press that button your number will be ADDED to a list – a list of active human callers. That list will then be sold to other scammers and before long you’ll be receiving dozens of scam calls per day! 3 – If you determine that your phone number has indeed been added to an active caller list, your only recourse for stopping all the irritating calls from coming in is to bite the bullet and have your phone number changed. Yes, I know it’s a hassle having to give your new number to all of your family members, your friends and all the companies you do business with. But that hassle is (hopefully) a one-time thing. On the other hand, the daily deluge of robocalls you receive because your number is on a dozen scammer’s lists will keep on coming until the scammers get shut down some way. 4 – If you decline to answer a call and the machine calling you leaves a message, DO NOT call any call-back phone numbers they leave in the message. If the message claims to be from your bank or some other type of legitimate business, call them back using a number that you know to be their real phone number. If the message was indeed legit the person that answers your call should be able to transfer you to the person or department you need to speak with. 5 – If you start receiving multiple robocalls from the same phone number you can block that specific number. If you have a land-line you’ll need to contact the company that provides your phone service and ask them to block the number for you. If you have a cell phone there are various ways to block specific numbers depending on the type of phone and the carrier you’re using. I recommend that you contact your cellular carrier directly for guidance and help with blocking problem numbers. 6 – Add your number to the National ‘Do Not Call’ Registry. While adding your number to this list won’t do much to help you avoid receiving robocalls, it will definitely reduce the number of calls you receive from legitimate telemarketers (and yes, they do exist). 7 – If you have a cell phone you can always consider switching your service to Verizon. Unlike most of their competitors, Verizon is actively taking steps to block robocalls from being placed via their network. Bottom line: Robocalls are a menace, and unfortunately there’s currently no fool-proof way to block them from coming in. But that being said, the tips mentioned above can help you manage the robocalls you receive and help you avoid falling victim to their scams. 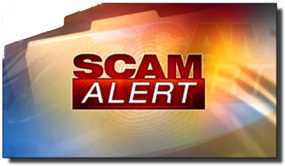 Bonus tip #1: Click here to read about some of the scams that are making the rounds right now.